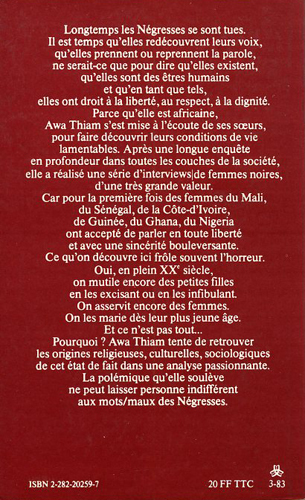 Thiam, Awa. La parole aux négresses. Paris: Denoël, Col. Médiane, 1978. (192p.). 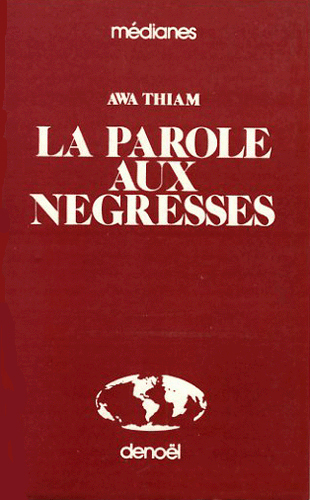 English translation: Black Sisters, Speak Out: Feminism and Opression in Black Africa. London: Pluto Press, 1986, (136p. ).